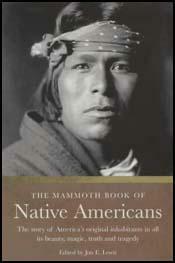 Kintpuash (Captain Jack) was born in the Modoc village on the Lost River in about 1839. As a young man he often visited the mining camp of Yreka in California. As he wore a brass buttoned military jacket he was given the nickname of Captain Jack. 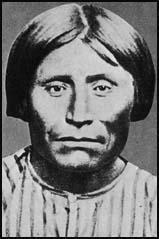 In 1864 Chief Old Schonchin signed a treaty that agreed that the Modocs would leave their original land in California and settle in the government's Klamath Reservation in Oregon. Kintpuash disagreed with this decision and eventually he led a party of his supporters back to California. On 29th November, 1872, fighting broke out between troops and the Modocs. One soldiers and eight Modocs were killed during the fighting. Over the next few weeks fourteen settlers in California were killed by war parties. During negotiations on 11th April, 1873, a group of warriors killed peace commissioner Brigadier General Edward Canby. This was followed on 26th April by four officers and eighteen men were killed at the battle of Stronghold. However, the Modocs were outnumbered and on 1st June, 1873 Kintpuash and his warriors surrendered to the army. Kintpuash, Boston Charley, Schonchin John and Black Kim were executed for the murder of Edward Canby on 3rd October, 1873.